The Place of Imagination is where the imagination is quickly stirred and released. It is domain and center of power of a worker of the imagination. 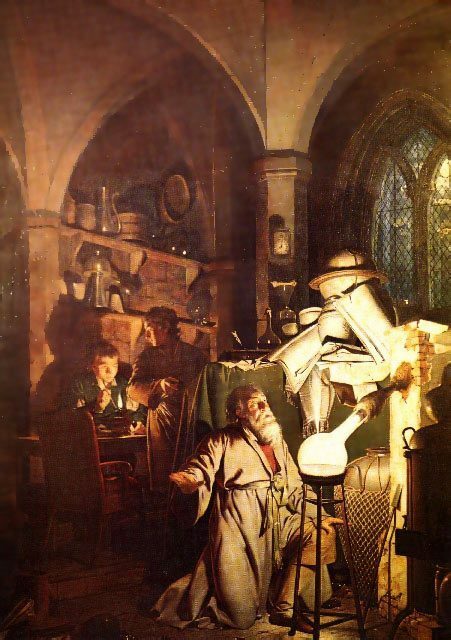 The alchemists had their labs; the ancient philosophers had their caves; Europeans, the forests; lamas, mountainside retreats; and genius makers (i.e. 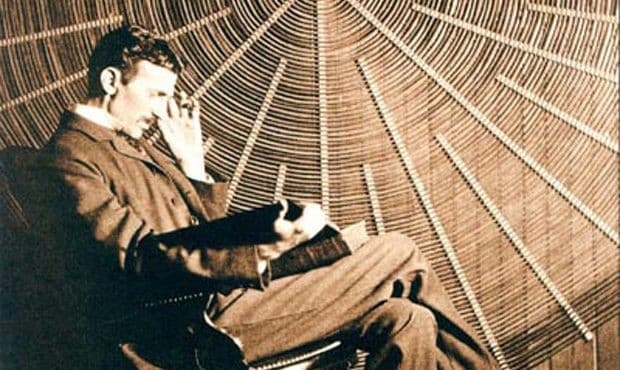 Edison and Tesla), their workshops. 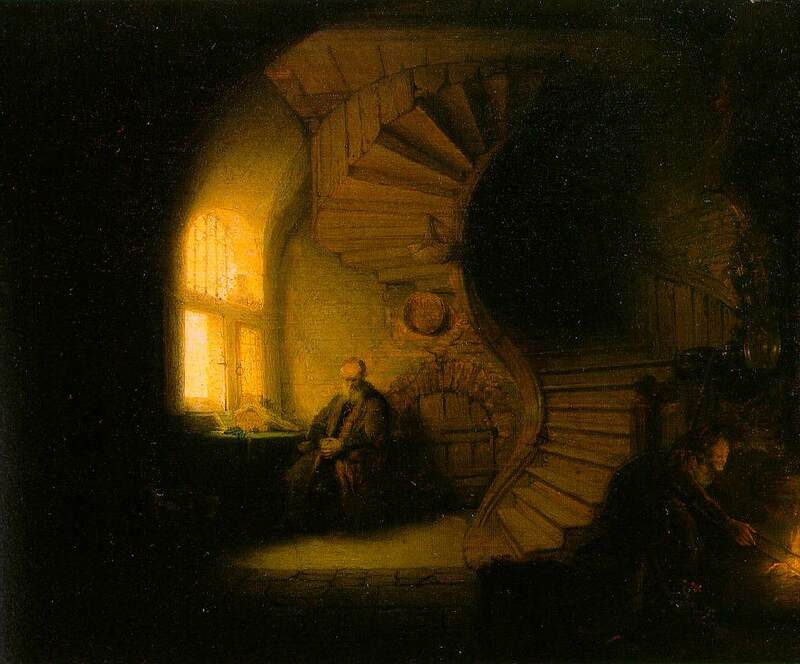 Rembrandt really captured the essence of a Place of Imagination in his painting called The Philosopher in Meditation (shown above). 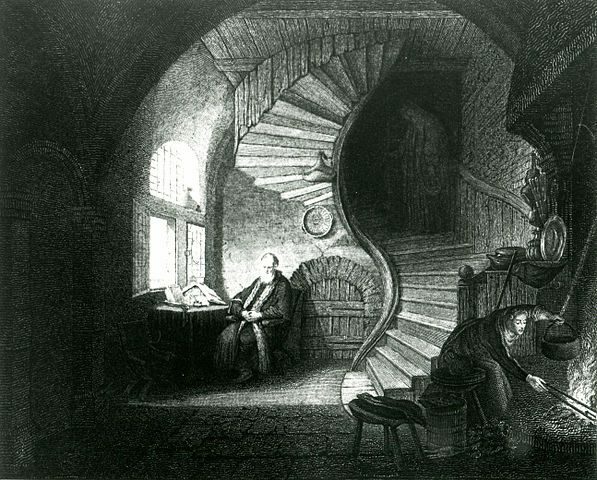 We see a combination of sunlight and fireplace light, perhaps representing the analytical or conscious mind, and darkness that intensifies up the spiral staircase, a swirling force that pulls us into the unknown and unseen unconscious. The imagination awaits the philosopher who sits looking downward, turned away from his book. 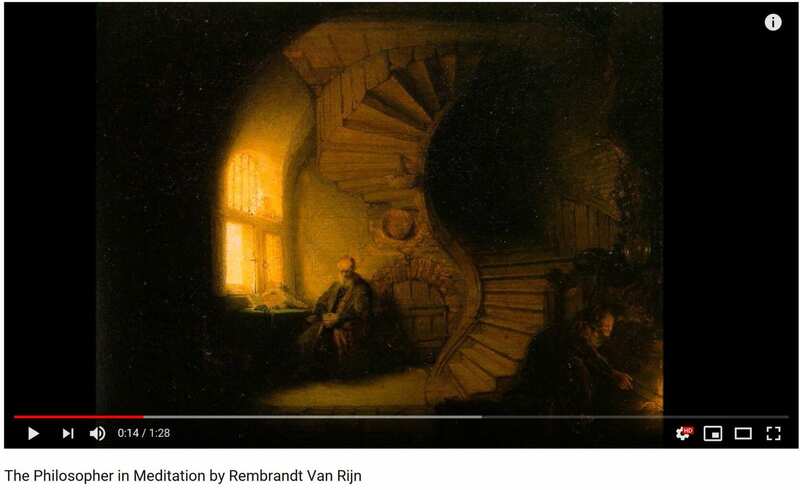 YouTube video showing close-ups of the painting. You probably already have one but the work-a-day world keeps you from remembering the location. Slow down and spend some time and think if you have been in a place of magic (for you). This place can be in the real world or a place of your imagination. When you find it, and sometimes it has to be constructed from two or more locations combined imaginatively into one place, explore it. Find its qualities. If need be, furnish that place with special objects that fascinate you. Lock it in by making this the place where you start your imagination work. In time, this will be your Place of Imagination.